It is just an 18-mile journey from Israeli Prime Minister Benjamin Netanyahu’s private residence in luxurious Caesarea on the shores of the Mediterranean, to Har Megiddo – Armageddon, the hilltop ancient ruins of one of King Solomon’s palaces from where the Bible suggests the final battle between good and evil will be viewed. The road between the two points is populated by Israeli Jews and Arabs of widely differing religious beliefs and political opinions, and the No. 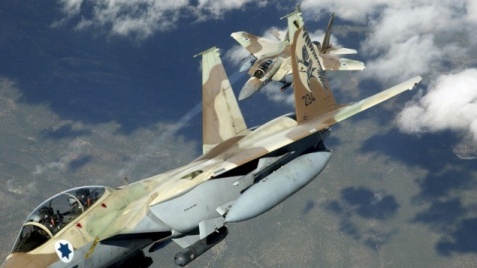 1 topic of conversation these days is whether Israel should bomb Iranian nuclear facilities. The people who live in the small, picturesque villages along the route recently talked to FoxNews.com about the looming showdown. Route 65 is the “Road to Armageddon,” and a few miles east of Caesarea, it passes Kibbutz En Shemer, where Itti Moshiach, (his surname appropriately enough means Messiah), a former tank gunner who fought in the 1973 Yom Kippur War, offered his opinion. Yehuda Zarka knows this part of the country as well as anyone. He is the base commander for the Border Police and famously foiled a Palestinian bomb plot in 2002 when he intercepted a half-ton bomb being delivered to a target in a local Jewish town. He was commended for his bravery by then Prime Minister Ariel Sharon and by the current Israeli president, Shimon Peres. Finally, in Har Megiddo, the view unfolds of the Jezreel Valley, where the final battle is forecast to take place. On the left side of the valley is Nazareth, while on the right – on the other side of the separation fence – is the Palestinian city of Jenin, which proudly proclaims itself the “martyr’s capital.” The name reflects the city’s having dispatched more suicide bombers into Israel than any other Palestinian town.